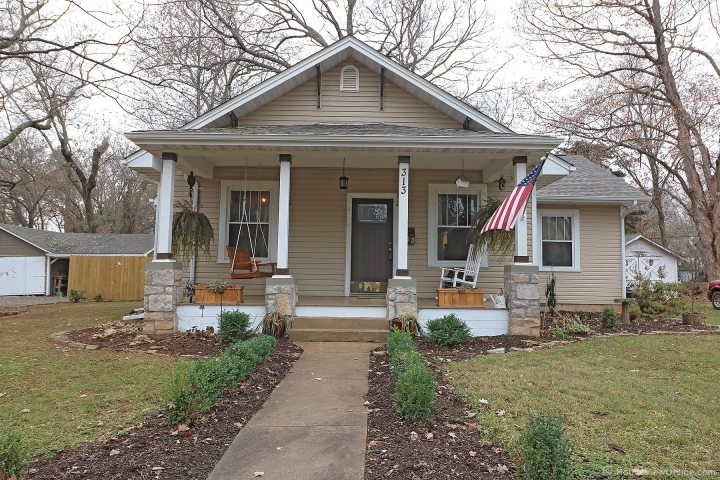 Charming 3 Bedroom, 2 bath bungalow on a double lot. The home has a open floor plan with large living room, beautiful kitchen and adjoining dining area all with wood floors. This area is great for entertaining family or friends. The home has a divided bedroom plan with a spacious master bedroom, adjoining bath and large walk in closet. A Jack & Jill bath and two additional bedrooms gives privacy for family or guests. Relax at the end of the day on the large covered front porch or large patio area with some privacy fencing in the large back yard. This is a place to call home! Call for a showing today. !